Minister for the Arts Don Harwin joined some of the country’s leading female screen talent to announce #SheDirects, a new initiative to bring more female directors to the forefront of the Australian screen sector. 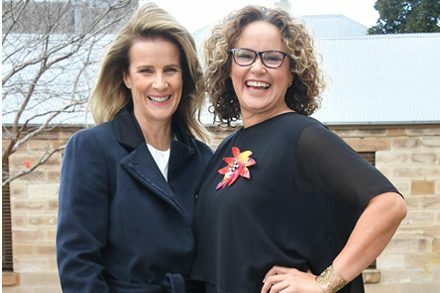 Director and internationally renowned actor Rachel Griffiths as well as actor, writer, and director Leah Purcell were in attendance as Minister Harwin announced a $100,000 kick-start to increase the number of females in director positions. Minister Harwin says the funding is for up to four TV drama projects. “As the country’s leading State for film and television, we are committed to supporting the best female talent that Australia has to offer in key creative roles,” Mr Harwin said. “The industry has made excellent progress and #SheDirects will give even further impetus to ensuring gender is no barrier to achievement in this diverse sector. Applications are open for one-hour TV dramas with a female director and at least one other female as part of the NSW-based key creative team. Applications are open until Sunday 5 August 2018. Full guidelines can be found here.